But then I realised it was an inferiority complex at play here. Now I’m not saying every Scot holds themselves in low self esteem, but let’s take a moment to examine some of the evidence. It was people over 65 who voted the highest percentage for a NO vote. These are folk that may still have been influenced by the idea of British Empire and the Scots lesser role to their much bigger English neighbour. Perhaps there was a certain sense of not wanting to lose the old Britannia identity. The Union Jack and the Queen. I know from living in the south side of Edinburgh most over 65s Scots don’t have a Scottish accent at all but sound like they recently moved up from the Southeast of England. Growing up they were taught to lose the Scottish twang and sound more English. I’m not sure what that must do to a person’s personal identity. All of this is done subtly of course. But if it’s drilled into you over years or even decades imagine how it makes you feel. You’re Scottish! Well you better not sound like one or behave like one. I am however heartened to see that changing. The younger Scots are proud and confident. They speak assuredly in their local dialect. 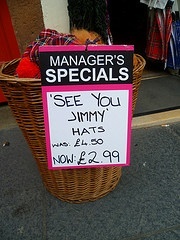 In fact they take great pride in using specific Scottish words and phrases. I don’t think many under 25’s wish they spoke like Prince Charles. Even the Gaelic language is now taught in many schools all over Scotland. I envy them. I wish I came from a place that had it’s own distinct language. Unfortunately the younger people and their hope and aspirations for an independent country was not enough to influence those who wanted to stay British. Okay perhaps some of those voters were afraid they would lose their pensions or that somehow their money would be worth less. But actually as I look over recent polls taken since the referendum vote, it appears as if most Scots want all financial matters made here by the Scottish government. That doesn’t quite sync with why so many people voted NO. So I can only conclude the idea of being Scottish and being in charge of all your decisions here in Scotland was far too big of a step for many to take. There may have been a tiny voice telling them it was okay. But when they walked into that voting booth, the X went next to the NO box, as the placid sounds of God Save the Queen played silently in their minds.